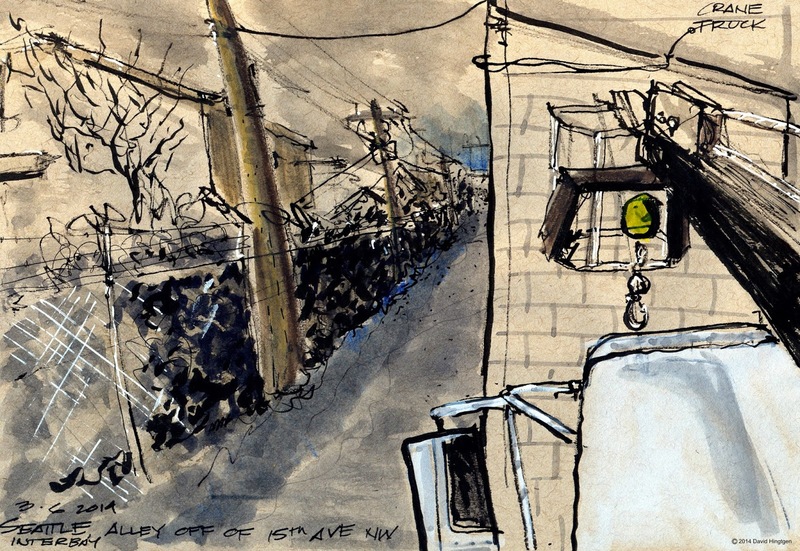 The last few days at Lunch I decided to try sketching an alley from several vantage points and media. and I loved his scratchy graphic style. 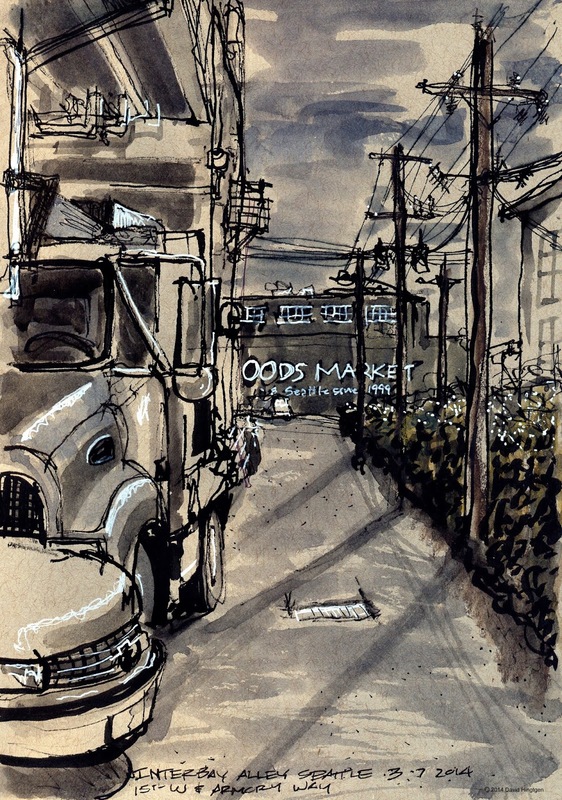 He sketched an outline of the scene with a matchstick dipped in ink. I tried that here and then also used a sharpened twig cut from the brambles in the alley. Love these! The first one is comfortingly gothic - beautiful.